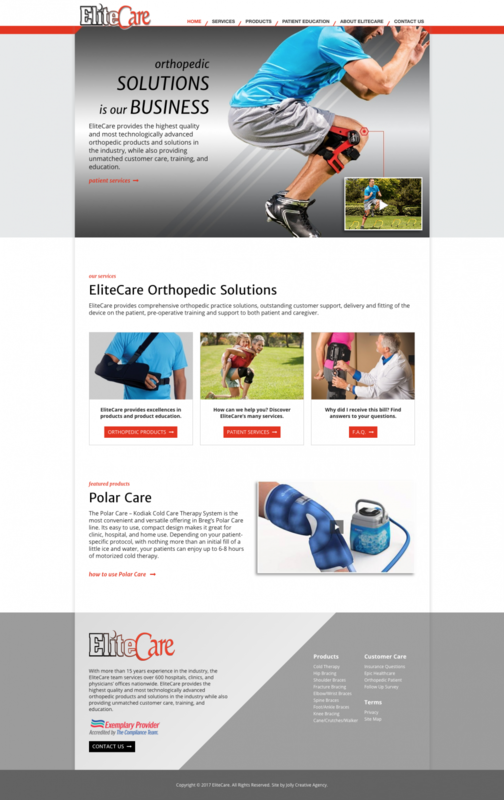 Elite Care provides technologically advanced orthopedic products. They approached Jolly Creative Agency to design and build a website that displayed their products and give access to educational information to their customers who would need help using the products. As a distributor, it was vital to create unique branding for EliteCare throughout the site.